Hey foodies and animal lovers! Most of us eat animal products and as the darkness of factory farming becomes news the lesson taught is that factory farming is not necessary and all of us can recognize that it is far from humane. Nestle, a Swiss based corporation, is global and the largest food manufacturer in the United States. You may recognize them as the makers of Coffee Mate, DiGiorno, Dreyer’s Ice Cream, Hot Pockets to name a few on a list of over 2,000 brands. Well, woo hoo and yahoo – they have implemented a new policy with changes targeting their suppliers treatment of animals. These new guidelines institute humane treatment with a few watchdog groups doing the due diligence. That’s right, Nestle. They get a BIG shout-out from Delicious Yogini for changing their policies on animal welfare. Their suppliers are now required to adhere to these new rules or lose theirNestle accounts. Doing the math I would think that a Nestle account is a big deal making the immediate success of this conscious decision a certainty. I predict that this positive change made by Nestle will “trickle down” and factory farming will become a thing of the past. 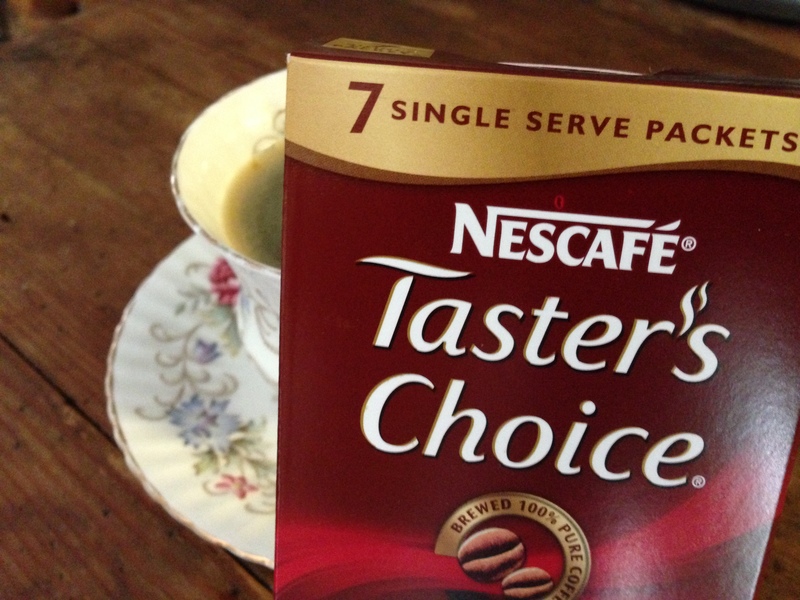 In celebration my afternoon “tea” will be Nescafe today!